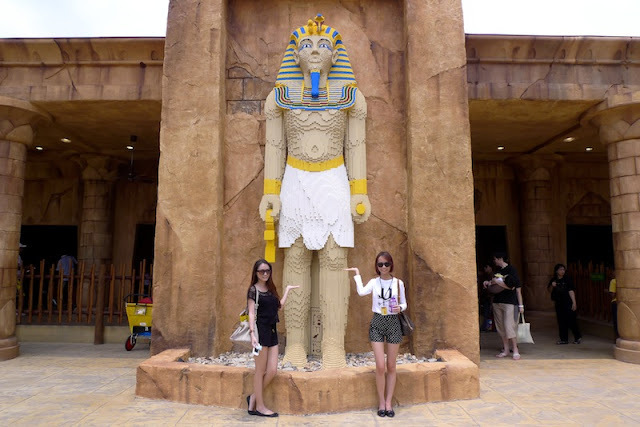 Conquered Legoland @ Nusajaya, Johor! Ohai, after a long wait here goes the updates for the last month road trip to................. 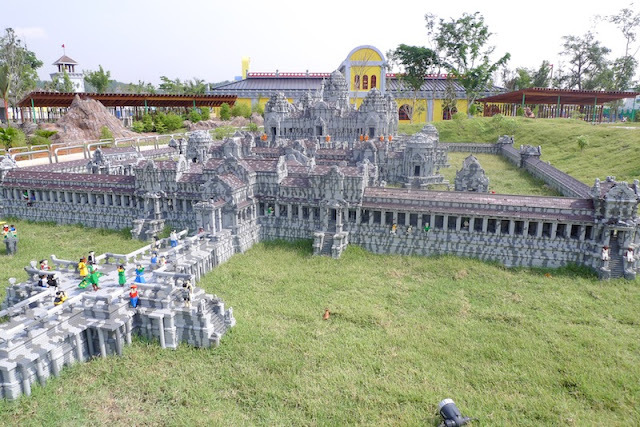 YES YES YES, you-ever-wanted Asia's first LEGOLAND Park @ Nusajaya, Johor. Thank you Nuffnang and Maybank for the invitation to their grand opening on 15th September. Woke up real early that day, like freaking 6am! 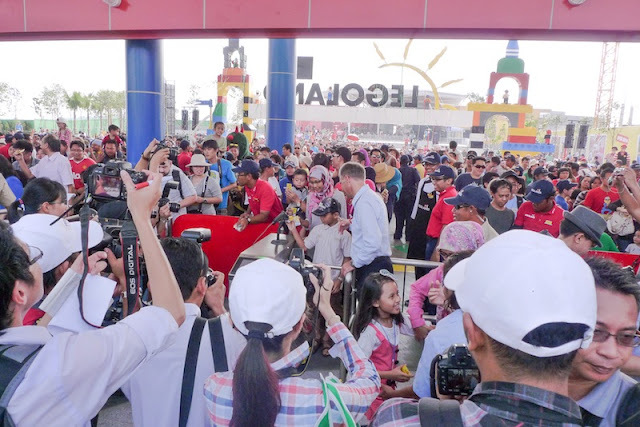 The reason why it has to be so early, first is because i took longer hours to get ready; second because blogger get to witness the opening show and get into the Legoland theme park before it opens out to public. You know like special treatment :p So, it was all worth! Pictures i took while the opening events and activities were ongoing at the entrance. 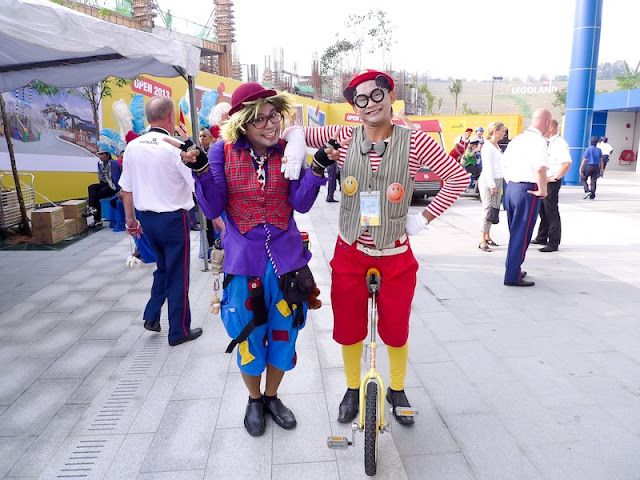 Stilt jugglers with Legoland crew. 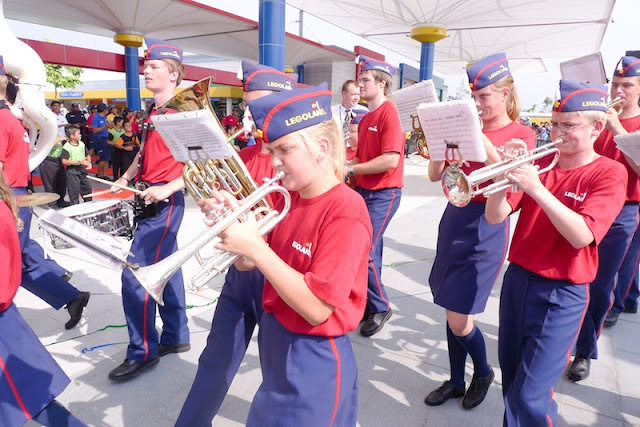 Billund marching band performance all the way from Denmark. First crowd queuing up for Legoland!! HUGE! Me with the iconic national landmark, Petronas Twin Towers in miniature size. Some highlights i took in this mini world. 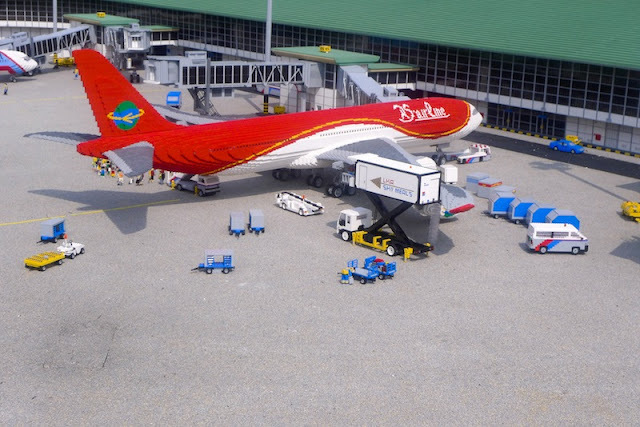 You guys probably feel amazing cool about all the designs which used more than 30 million Lego bricks. So impressed!!! Next stop, Lego Kingdoms. 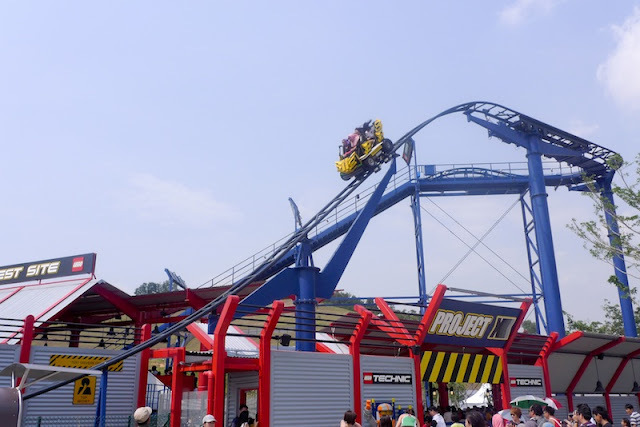 Must-try game: The Dragon roller coaster! There is also Lego Academia, which allows children with parents to enroll class learning Lego building tips. I was walking the previous two sections all alone while waiting my babe Liza to come. 2nd tips: Put on your sunblock and shades because it's gonna be super duper burning hotttt! After an hour plus, finally my company has arrived. We went searching for some food outside the theme park. You know....theme park food, ahem ahem....is kinda pricey. 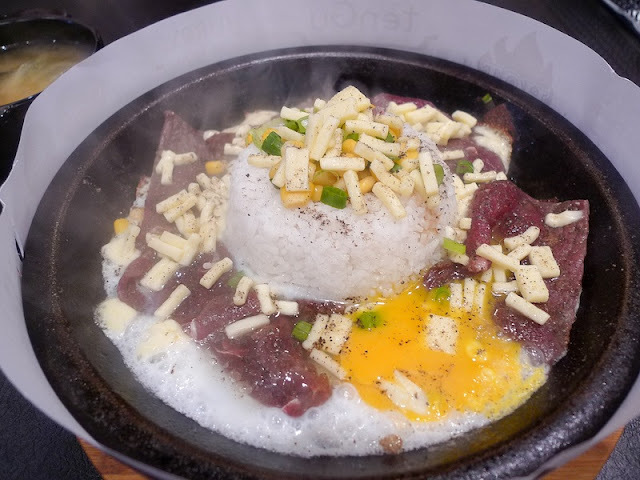 So you can fill your stomach at the restaurants at Medini mall just outside Legoland park. But if price is not to be concerned, then you may want to try out the restaurants in the park with price ranging from RM10.50 to RM30. 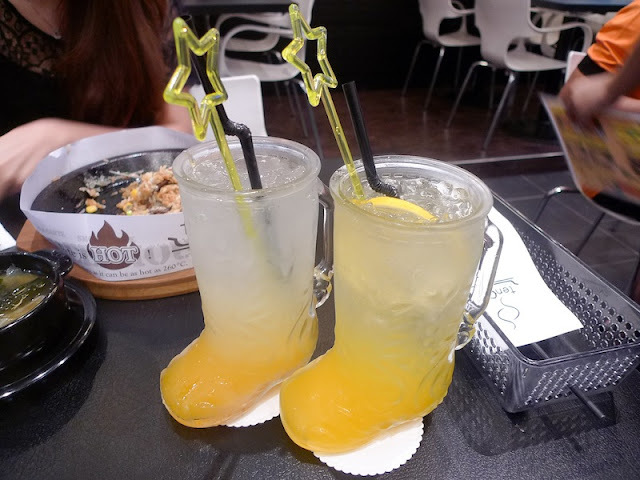 Our drinks, mango soda and mango yoghurt. Body energy level full-charged after the brunch. We continued exploring Lego fun. Third stop, Lego Technic. Must try games: Aquazone Wace Racers and Project X. After a heart-attack ride, i needed something calm to play with. So we went Imagination section. Mainly this section comprises games that are more suitable for children. Didn't get to sit on Observation tower because of technical breakdown. 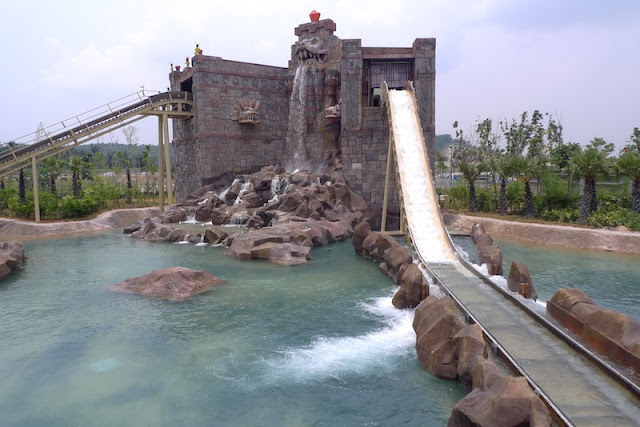 :( You guys must try it because it can lift you up to 41m height for incredible view of the park. 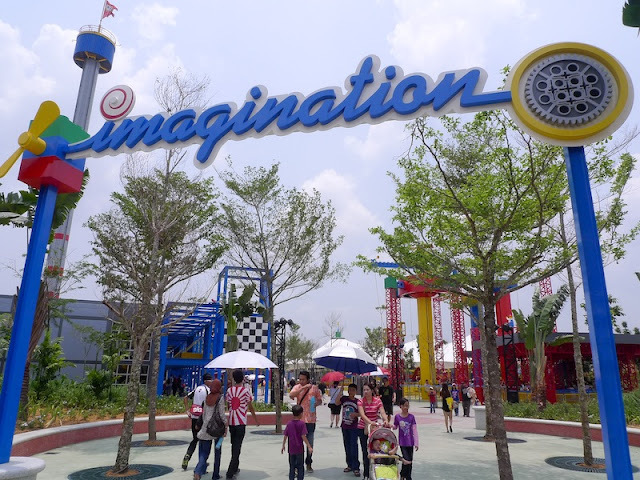 Was queuing up for Kid's power tower, but end up decided not to play because of the sizzling weather. Took a silly pose with the bunny in front of the tower. 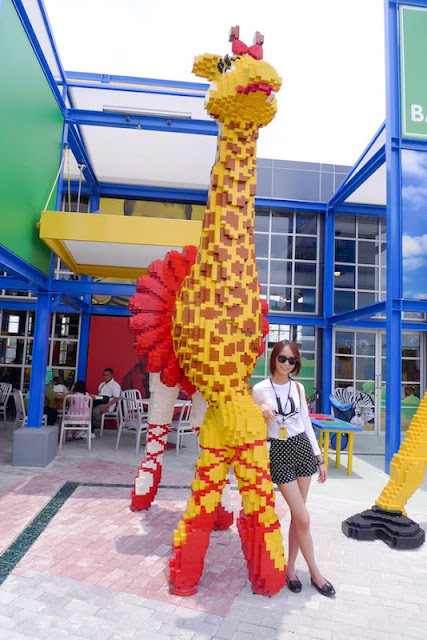 Another pose with the giraffe built with Lego bricks! 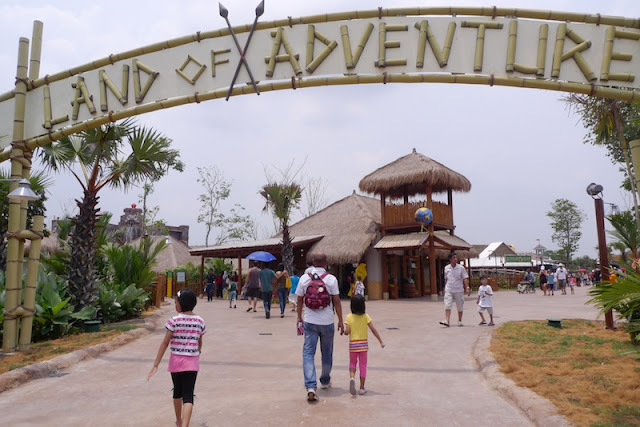 Second last stop at Land of Adventure. 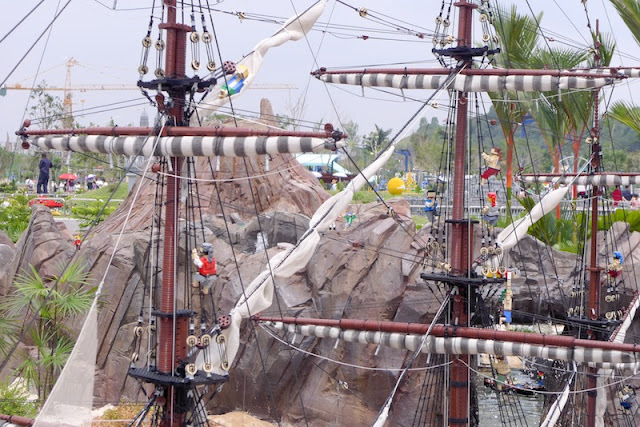 Highlight: Dino island and Pharaoh's revenge. Dino island was not available as well. I believed it would be opening up by now. Our sticky sweaty faces whilst going in. 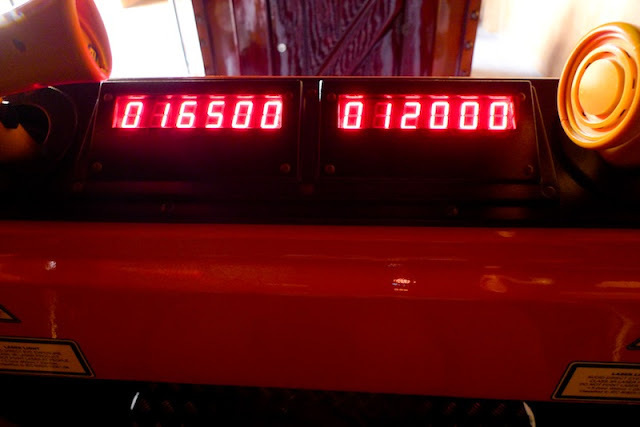 Guess who get a higher score? The 6th section, Lego city. Place where children really take control. 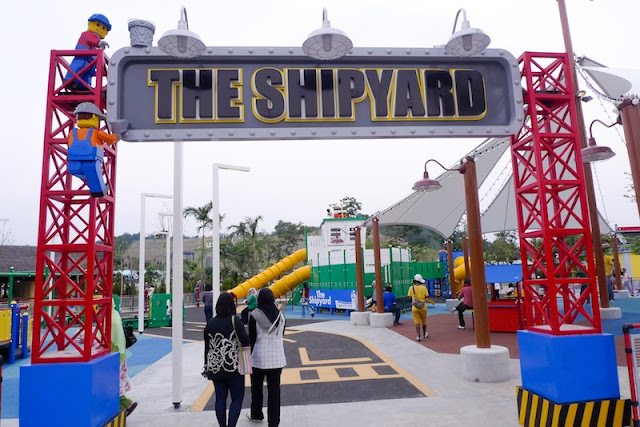 The shipyard is like a huge playground for kids to climb and crawl like cray cray. Anw, it's meant for kids. Before leaving, you might want to drop by the Big Shop to grab some LEGO souvenirs. 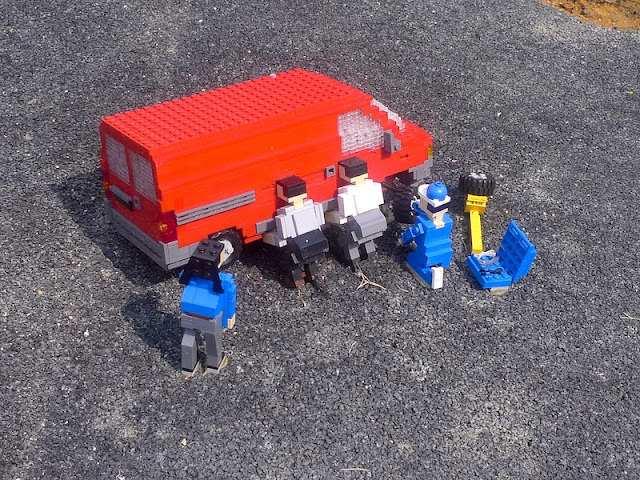 There's also a photo session with Legoman outside the shop. Squeezing our last smile to end this wonderful explore all of Legoland. Hope you guys find it useful if you're going to visit there in recent. 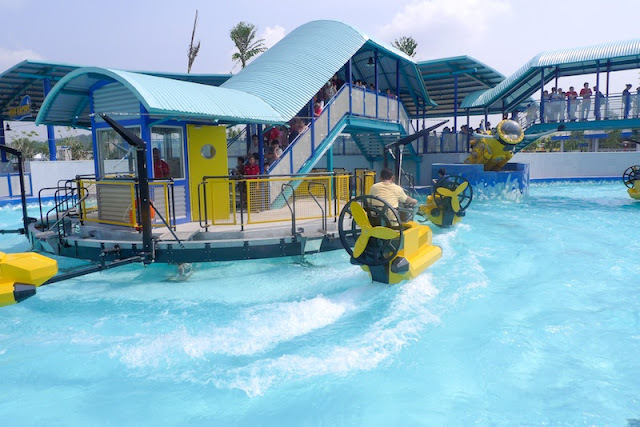 Easy peasy, just drop a comment below and tell me why you want to go Legoland and who do you want to bring along. Do leave your contact email as i will contact u through that. I grew up playing lego and was always asking my mum to buy sets with more cool bricks and would be on cloud nine when I am able to build something real cool!Now it is here. 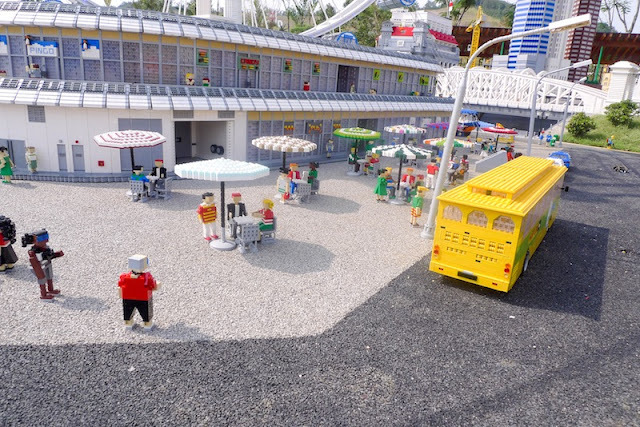 A park made of LEGO and I'm really curious and excited on how it looks like. If i were to go, I would love to go with my BF!!!!!! I do love the park so nice and I wish someday I could visit the place with my family.. Thanks. I would want to go to Logoland because I grew up playing with the legos and I still miss them now. It's a part of my greatest memory as I can remember I built lots of my dream houses with legos. aww...lego do accompany me during my childhood moment and i love it. i always wish that legoman can become real in life and standing in front of me. Indeed, now legoland can help me success this dream.. I will bring along my BF to go if this come true. I've always loved goin to theme parks, full of fun, fantasy, games and colours, it's the best place to relax and enjoy myself, having a wonderful day with exhilarating journey, exploring around, taking nice photos ;) it's like immensing into a lego fantasy adventure and it'll definitely be an memorable experience for me if I could go to the legoland with my boyfriend, i'm already imagining the sweet time we're gona spend there :D !! I would like to go with my family. We did not manage to go for a vacation due to some personal reason since I'm 7 years old because my family members are big. I would really appreciate it and many thanks if I could get these tickets :)My family would appreciate that too. Hope to get the good news from you! how could i resist the temptation after reading your post?! would be glad if i get the chance to explore by myself. i will bring my mummy along because is time for her to have a short holidays! I will bring my brother to go on my next sem break (also his school holiday)! I don't want him to root at home everyday for online games and so I want him to come out to see the sun and see the world! Another reason is, he use to love lego when he's young! He would definitely appreciate and thank you for giving us the tix!! I wanna meet them so damn badly. If I have a pair of tickets, we can all share the price of the other 2 additional tickets. And this month itself is the birthday month of the 2 BFFs! hello nana, hmmm there are so many contestants here and you only have a pair of tix!! ;/ I guess my chance of winning the tix is kinda low but still wanna try my luck here cause it's m bday month so I think it'll bring me luck hehehe!! 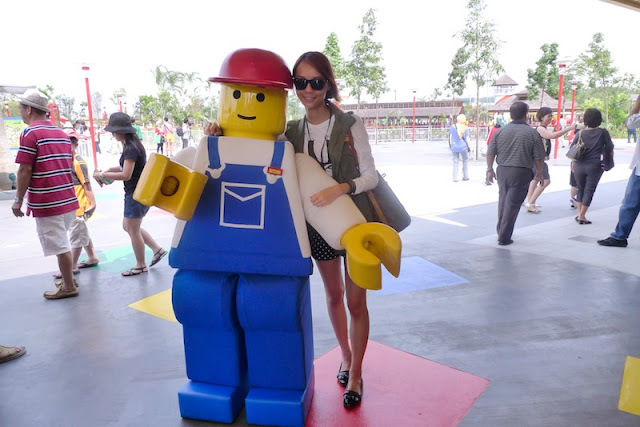 Always wanted to visit the legoland cause I like to experience new things and go to diff places for vacations :D I'll bring my boyfie tgt with me cause I need him to babysit me haha!! Hello Nana! 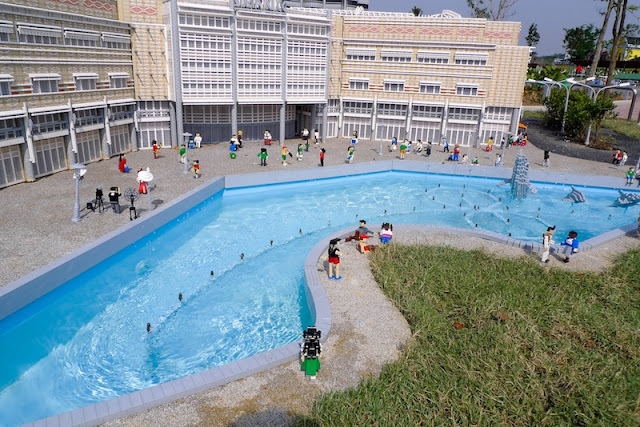 I want to go Legoland because when i was young , my parents not really buy Lego for me to play. I'm the third children in house so i never have my own doll/toy , i can only play with those "share" toy. The feeling of lack-of-childhood-memory is not good for me , even now , i'm 19-year-old , i still have the impulse to buy all the cute toys , full set of lego to build a castle , girlish kitchen set... i hope to have all this to replace my lost of wanted childhood memory! 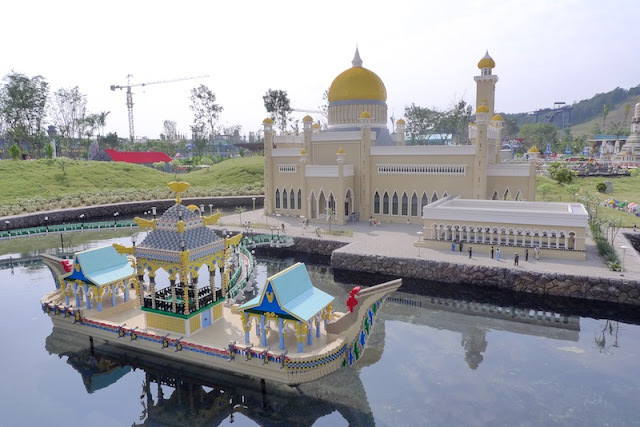 So when i know the Legoland is coming soon in Johor , i really hope myself can get a chance to go for it! I'm keep good relationship with my niece , i very love & sayang my niece , so i would like to bring her to Legoland with me!!! She's also a December baby! Then I can give her this unforgetable birthday celebration! Honestly , the ticket would be pricey for me if i have to buy it by myself. So i really hope to get this chance to start my Lego dreams! 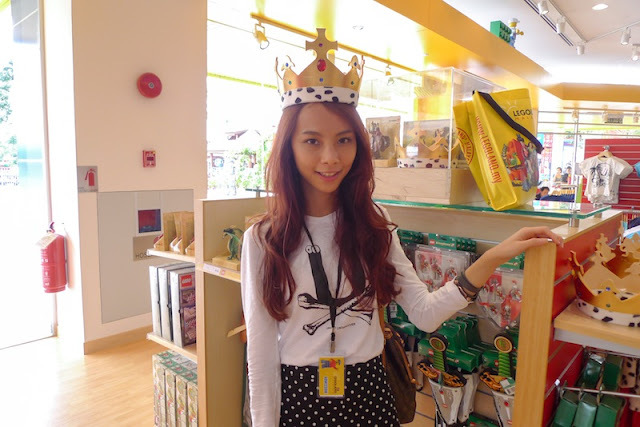 Anyway , thank you Nana for giving me/us/all your readers for this chances to win free passes to Legoland! Thank you Nana! Add-on : I'm going to sit for STPM this year , if i can have the free passes , it'll totally light up my long holiday after finish the exam. Thank you Nana again! 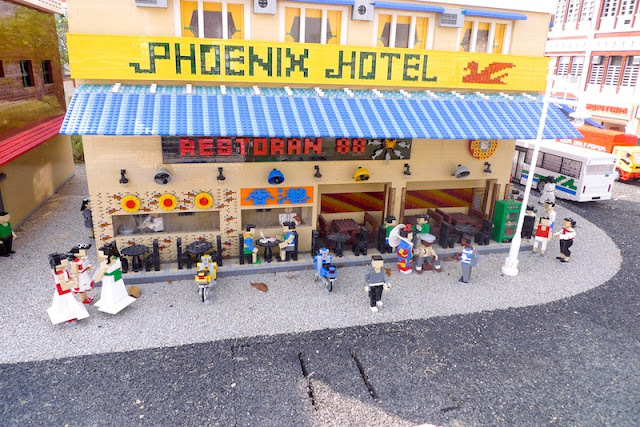 I would like to win the tickets to Legoland because I haven't been going out with my beloved family for a trip because the spending is hardly affordable. 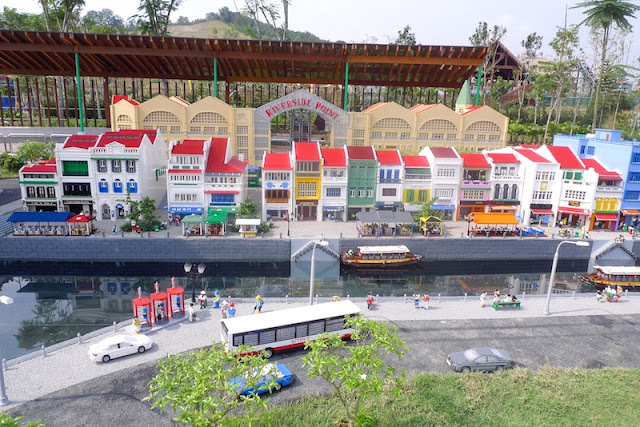 Plus, a visit to Legoland will surely elicit the childhood memories of my siblings & I playing all the legos together :) Hence, if I could win the tickets, I would like to buy 3 more tickets so that I could bring whole family to there for an enjoyable holiday! 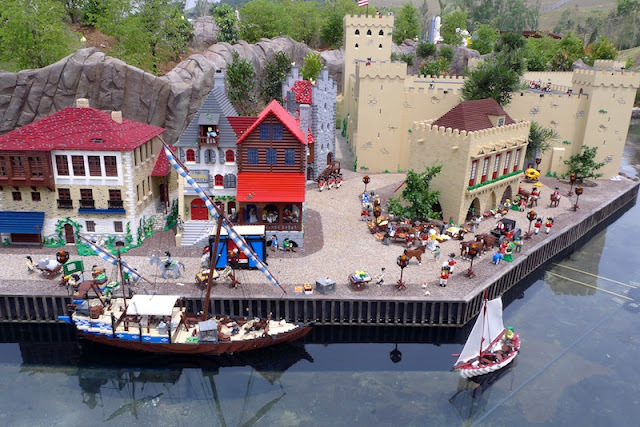 LEGOLAND - a world where everything was literally put together, LEGO brick by brick and also an inspirational land where children and teenagers are the heroes. 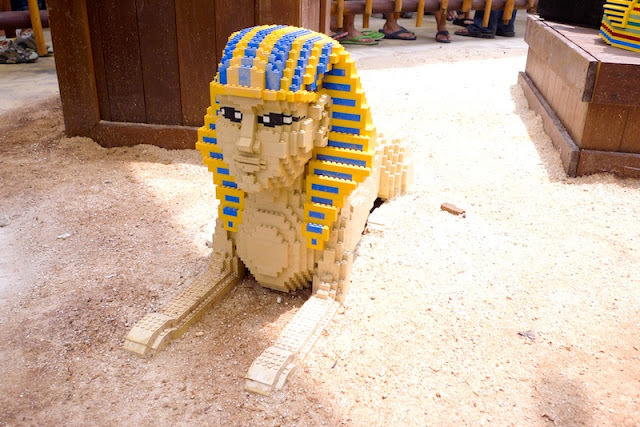 As a 17-year-old teenager, I would really like to visit LEGOLAND. 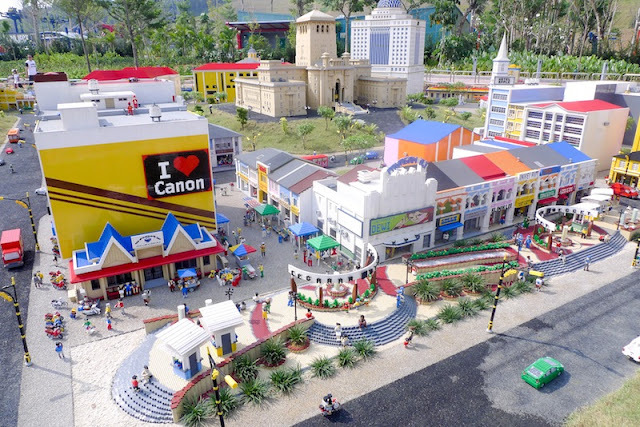 I think LEGOLAND would be just a great place for me to relax and have fun after SPM is over. Plus, the admission fee is a little too much for a student like me. 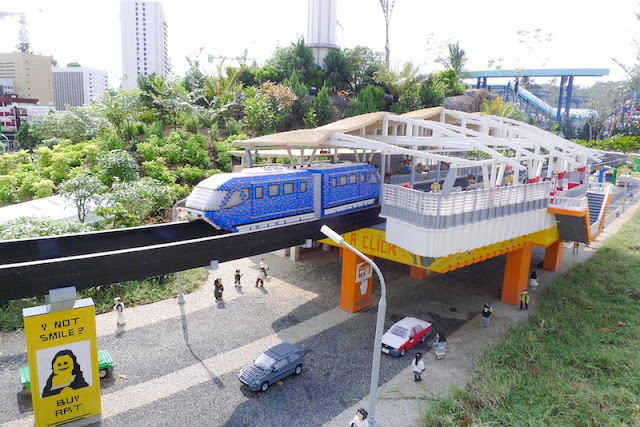 I want to visit the centre piece of LEGOLAND - MINILAND where I can witness Asian landmarks from Gulliver's perspective. 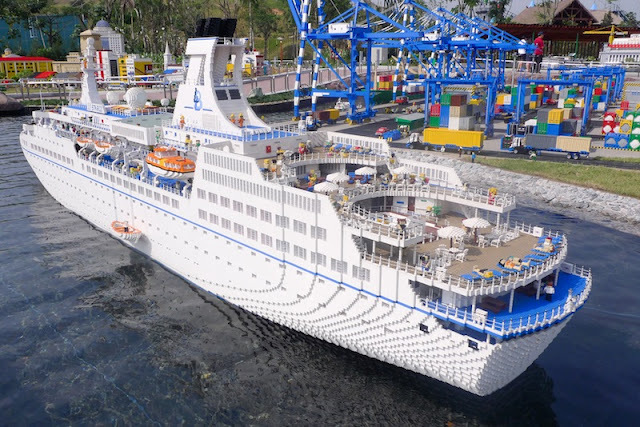 I'm a fan of LEGO since I was young, so, it'll be interesting to see the various structures all built from LEGO. IF I win this pair of tix(s), I will bring my best friend who I've known for 7years to go with me. Since both of us are form 5-er(s), after this year, both of us may not spend time together that often anymore as we'll be entering the another path of our lives separately. 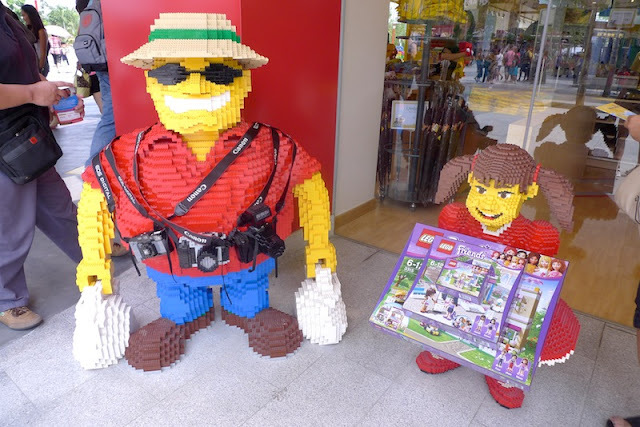 I want to go to Legoland because when I was small, I love to play lego with my sister. So if I get to win the tickets, I will go to Legoland with my sister, October is her birthday month! 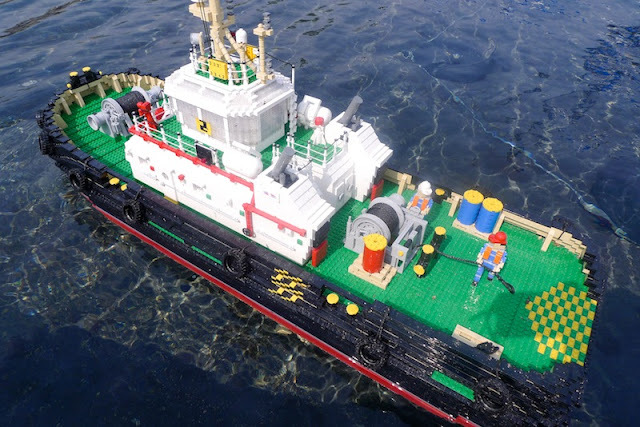 I'm a big fan of Lego ! It's a part of my childhood's life! 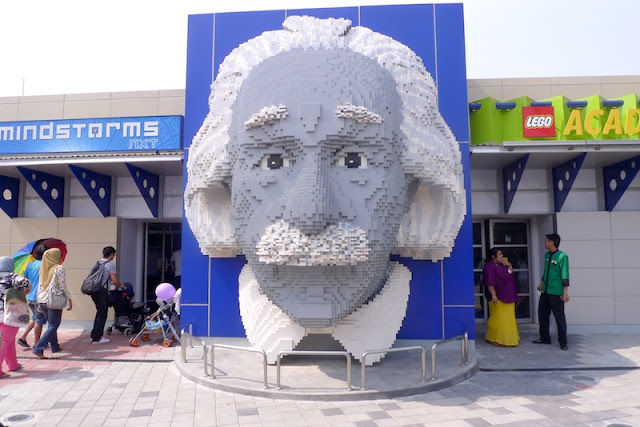 I wish I can touch the huge Lego and snap a lot picture ! I would bring along my sister as she also likes Lego too ! My life is such a mundane as I can't do what I want and love to do, for this whole year. Too many stresses that I need to overcome. 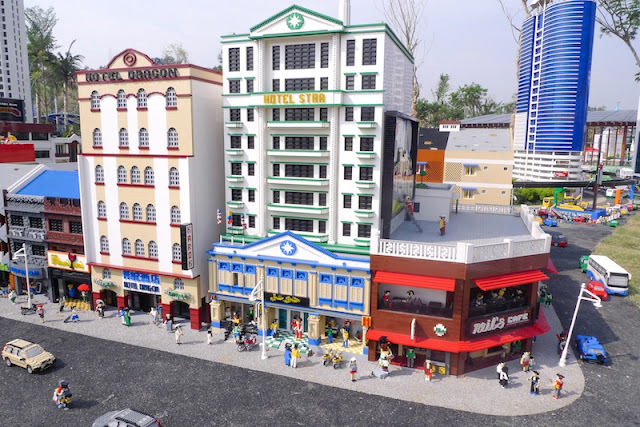 Therefore, I really want to go to Legoland so that I'll get the chance to release all my stresses due to the coming SPM examination! :) In an addition, I miss being a kid. From Lego to The Sims, that's my generation. I would like to bring along my very best friend! She loves things that are cool and fun! And coincidentally, it's akin to all the Legos! 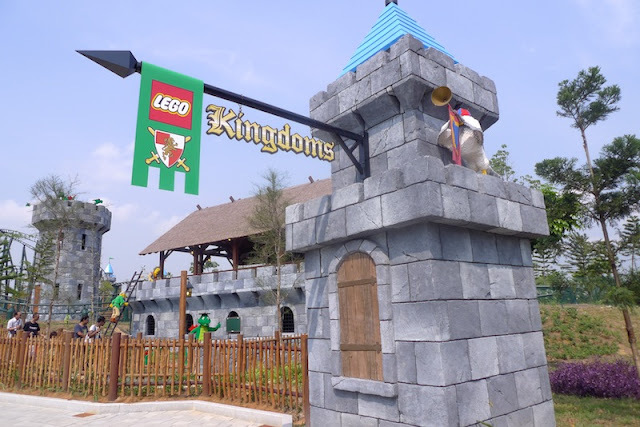 I can feel how fantasy this place.Although when i was a child i din often play lego with my sister or siblings.But i still get very interest go to LEGOLAND play.This theme park is AWESOME! 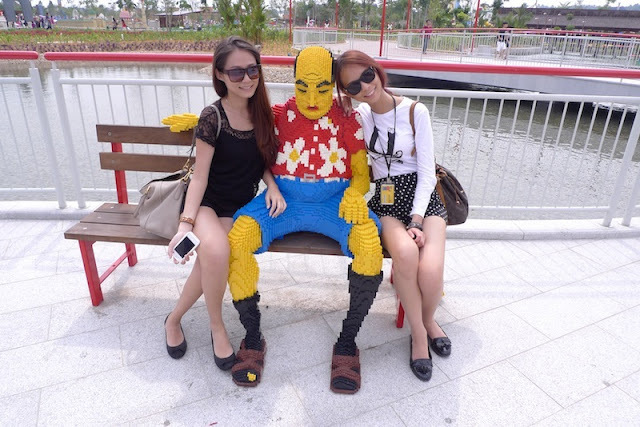 And of course,i would like to bring my buddies to there!I sure that we can have a great time in LEGOLAND! I Hope i'm the lucky girl who can win the tickets to this Awesome place! 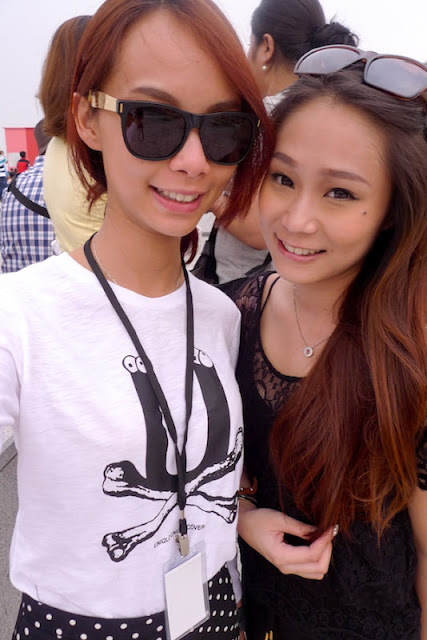 I wish to bring my girlfriend go LegoLand and have our sweet trip together before she leave to UK next year. ): I wish i could make her dream come true and enjoy one last time together, create a unforgettable memories like how the word "Lego" stuck in my brain. So whenever someone mentioned about Lego, she will definitely think of me, and that mean a lot for me. Hope this will help me win a pair of entrance tickets. My boyfriend, whom i like to think is the love of my life, is OBSESSED with LEGOS! I dislike going everywhere with my man to look for the particular Lego mini figures he wants. Also, all the money he spends on Legos. Oh my god. You should really see his collection. Also, instead of my face, he put Legos as his computer wallpaper. But... i love my boyfriend, so... i love his Legos, too. As the saying goes, "Love me, love my dog", right? 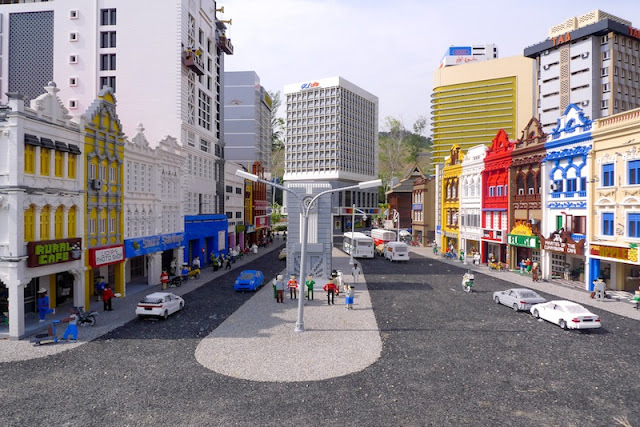 I wish to go to Legoland because I used to play Lego when I was young like most of them, and also I wish I would have a chance to look at this awesome scenery that Malaysia have. 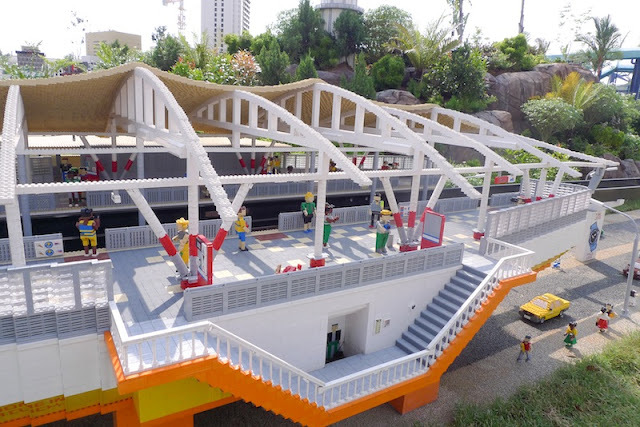 Oh, and I will bring my mum along if I get to have this chance to visit Legoland. 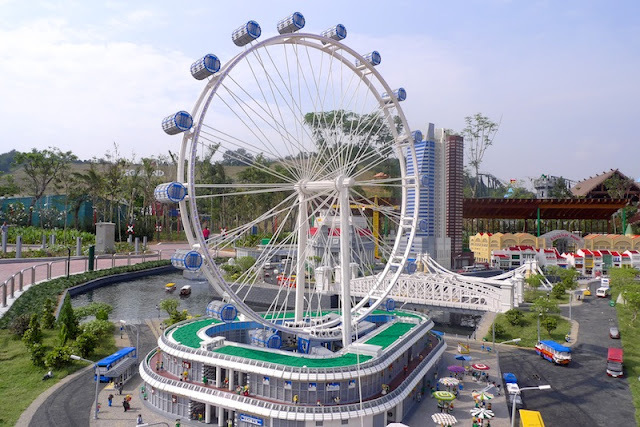 hi, I want to go Legoland with my boy friend, I have been planning to go to Legoland at the end of this year, I guess no one would ever want to miss this latest , chio, and cool amusement park. I checked the ticket price ady, its bit of pricey. Somemore, I had been heard of this since long long ago, choose me plz!! 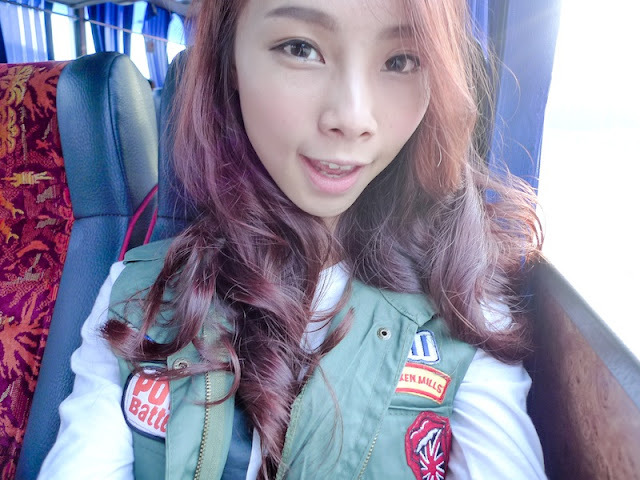 Nana, it is amazing that you can share all your experiences in your blog. The pictures uploaded are awesome and they look so catchy! You have done a great job by introducing places to your readers. Besides, your blog contains enough information which can guide your readers. Thanks for sharing experiences. I want to go Legoland with my familia and boyfie coz looking at the pictures you posted in ur blog is like a dream come true to me. 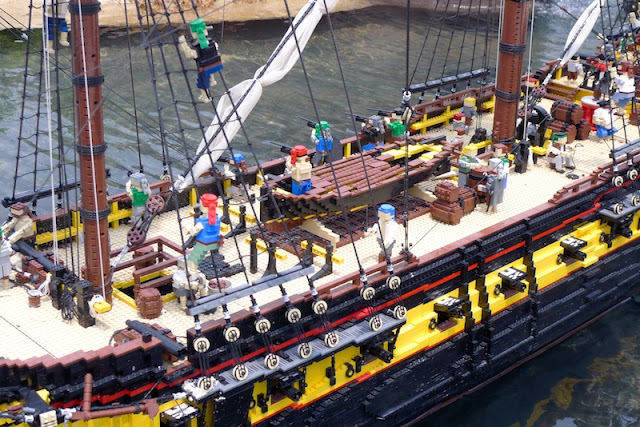 Playing lego during younger time and entering the Legoland is so much fun to spend time with. Hi, nana. I am taking STPM this end of year, and I wish to make this a sort of graduation trip with my boyf as we may not be studying in the same place together in the future and always feel so loved and impressed by Lego so I really really wish I can go there and witness its awesomeness but not just through pictures :( so yea, people I want to go along with is my boyfriend. Thank you much first even if I'm not chosen but giving us this chance! Hi, nana. 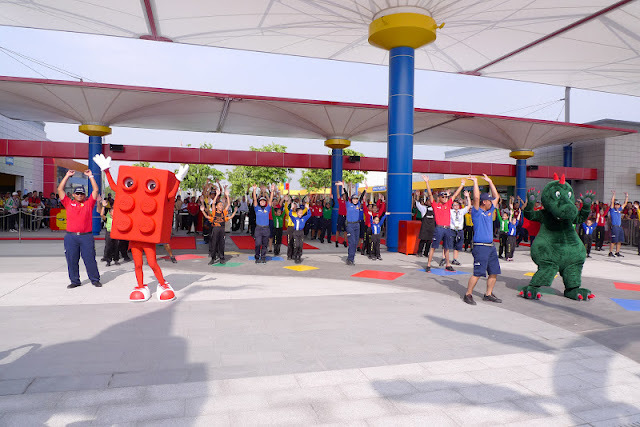 I really want to go to legoland because it's so awesome to be there and moreover the tickets are given by my favourite blogger!! 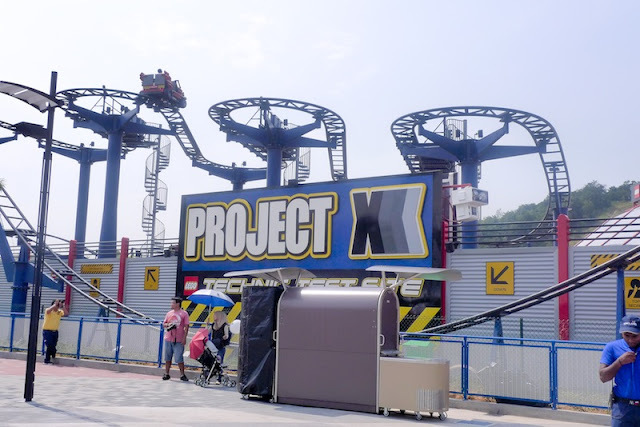 !Wow, I am longing to try the Aquazone Wace Racers and Project X too. I don't mind playing under the scorching sun,I just want to go there. Haha...first time commenting on your blog.I have been your silent reader since months ago. Between, I like travelling since it is cup of my tea in leisure time. Wherever I go, the experience is usually in the range of fair to fantastic. Yes ! It's broadens my horizon :)) When we travel we begin to realize there is more one way to live happy and be happy :D That why travelling and experience the newer thing in world just like so yeah for all travel baby and travel babe. 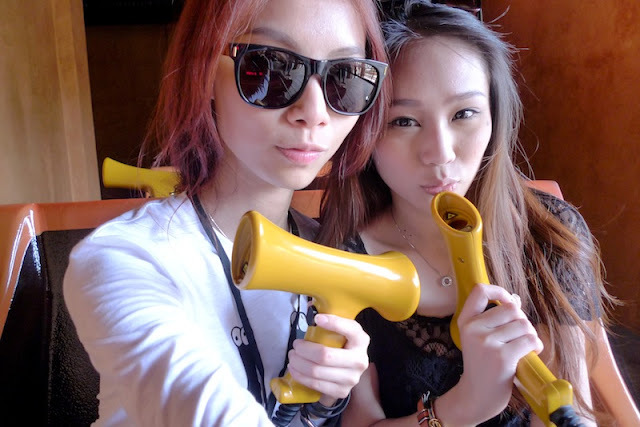 Followed you since 2007 from friendster to facebook, but never knew that you scared roller coaster ^^ I can imagine how fun if got a chance to play with u.
I want to go Legoland because I LIKE it so much!! 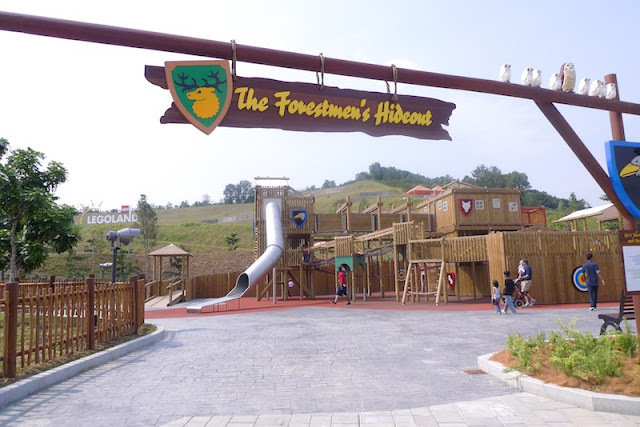 It's Asia first Legoland Park & located at Johor only!! How awesome ?!! I want to bring along my mum to go there on my birthday 2nd of Dec. This is because my birthday also is my mum suffering date. Do u heard it before? Chinese called it as "妈妈受难日". Yes, I know I'm bad. Because all this while I just claim birthday present from my mum but never did somethings special for her. So I would like to take this opportunity to thanks my mum by giving her a memorable & unforgettable Legoland day. Anyhow, the ticket is quite pricey. Thanks for giving a chance to win this ! !